Co-Optimus - News - Our Weekend In Gaming: What's a Pokeyman? Our Weekend In Gaming: What's a Pokeyman? Are they them varmints what fight each other? I'll be honest with you right now. Everything in every part of the world is certifiably bonkers. On top of that, the summer heat is nothing if not oppressive. Even further on top of that, Steam just wiped out our wallets thanks to the Summer Sale. What's a co-op devotee like you or I to do in such dire times? Easy: wall ourselves in with our piles of virtual media and play tons of games with those near and dear to our hearts. Don't, like, Amontillado yourself or anything, though. In fact, my one request this weekend is that you spend some time with close friends, family, or partners. Game with them. Have a beer with them. 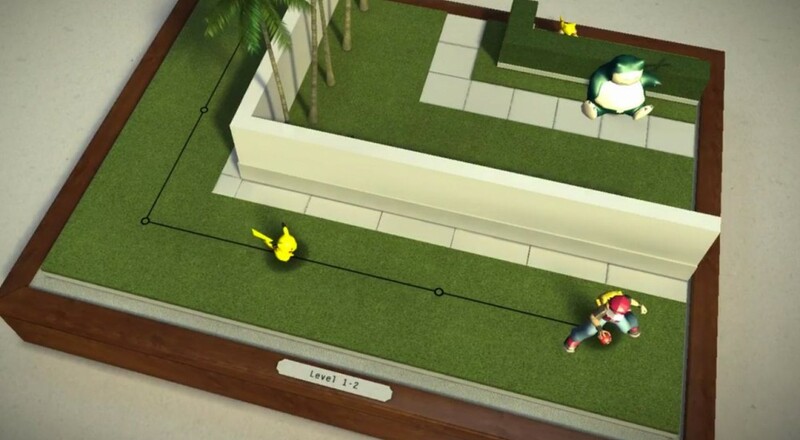 Go take a walk in a park somewhere, maybe test out that fancy, new Pokemon game. Maybe some of our own plans will inspire you. This weekend, we're forcing orcs through deadly labyrinths, swatting at each other with PlayStation Move controllers, and playing the Polish games of yesteryear. Sound interesting? Nick Puleo (@NickPuleo) - "Will probably dig into more Orcs Must Die! Unchained. Wouldn't mind playing some more Halo 5 Firefight as well." Jason Love (@JLove55) - "Continuing to puzzle my way through the proper way to prepare and consume gods in GOD EATER: Resurrection (does a Gboro Gboro go best with a white wine, or a rose? ), and got a weird desire to play some Destiny again, so perhaps a bit of that." Mike Katsufrakis (@Pheriannath) - "I bought a Steam Link recently, and I'm still trying to figure out which games from my library work well when streamed. I'll probably continue my Final Fantasy 6 co-op run, and maybe check out that big Armello update." Marc Allie (@DjinniMan) - "Another busy weekend so probably just looking like an idiot while playing Pokemon Go." Eric Murphy (@smurph_em) - "We're streaming Dungeon of the Endless tonight at 8PM Central. Come keep us company on our Twitch channel!" John Bardinelli (@itsamejohn) - "Inspired by some speedruns I recently watched from GamesDoneQuick, I'm breaking out a few PC classics to see how my skills compare. Braid is at the top of the list. Everybody remember Braid?" Locke Vincent (@LockeVincent) - "It's a really nice weekend coming up so I'm going to try and get outside and soak up some sun to combat this monitor tan. For real though, I'm going to try and get some Johann Sebastian Joust going. Wish me luck." Sam Tyler (@thereelsamtyler) - "I thought I had escaped, but Rainbow Six Vegas 2's T-Hunt mode just keeps dragging me back in." Tally Callahan - "Picked up Doom, so I'll be trying to survive the heat by stomping out fiery demons." Taylor Killian - "I might attempt the unthinkable and launch up the Witcher 1 for the first time. Otherwise I'll be running around like an idiot in Mighty Number 9." Enoch Starnes (@enochstarnes) - "I'll be coming back to Far Cry 4 for a bit of co-op shenanigans, grinding on my Loot Box game in Overwatch, and exploring the wasteland with an AI buddy in 35MM." So, what are your plans for this fine July weekend? Let us know in the comments!